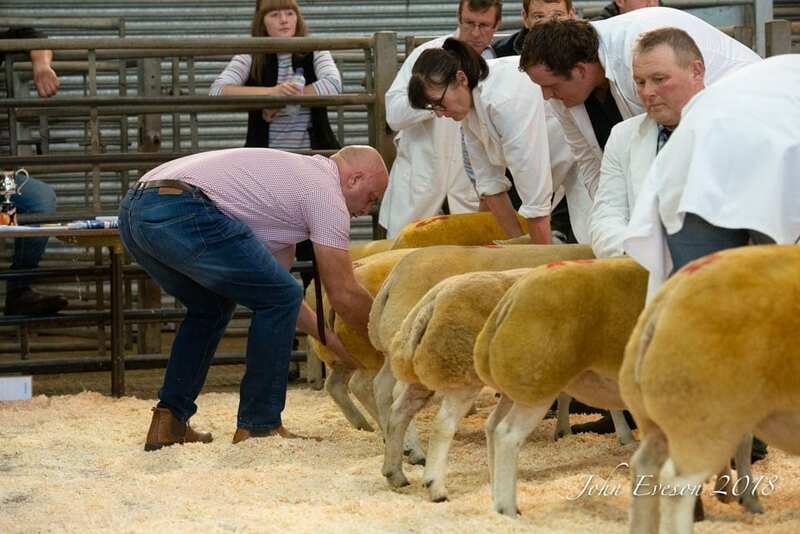 The female and supreme champion, Wilodge Charity from Paul Tippetts. 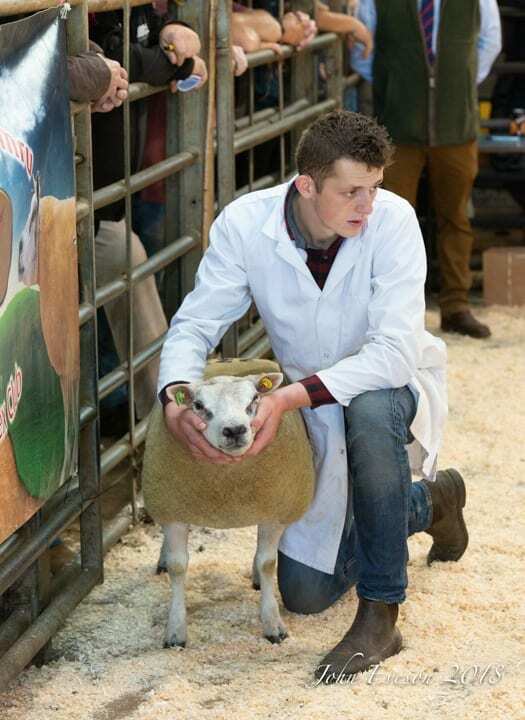 1,400 gns. 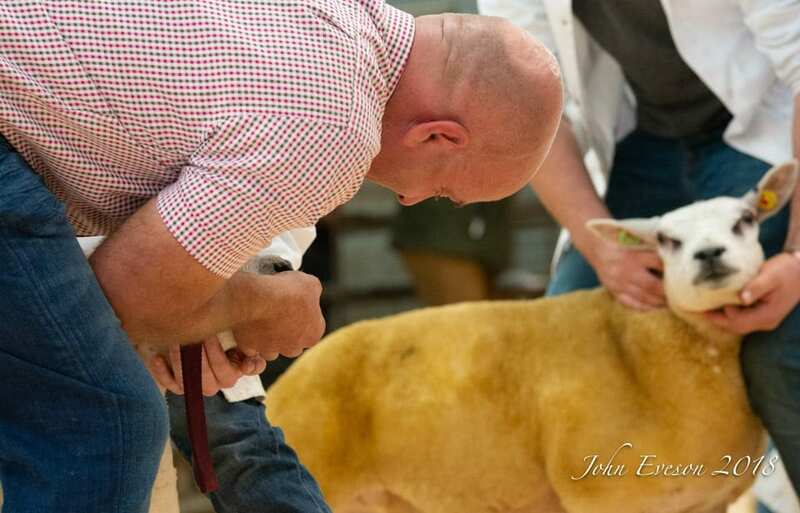 The male and reserve supreme champion, shearling ram Dooley Casey from David Thornley. 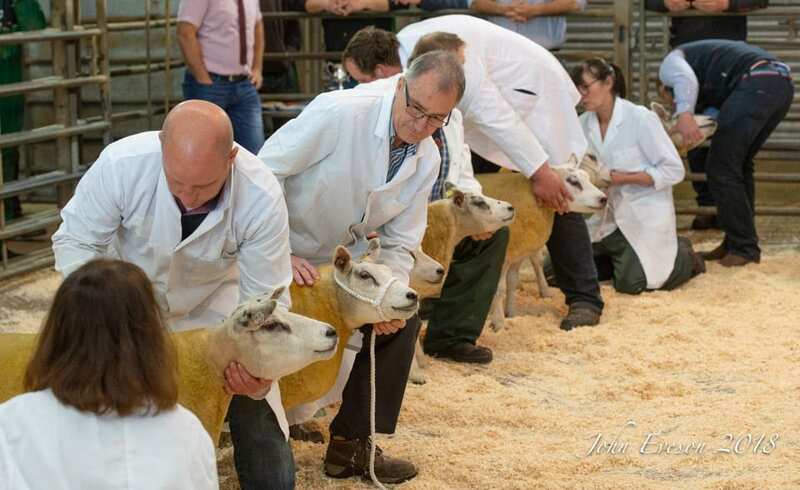 1,100 gns. 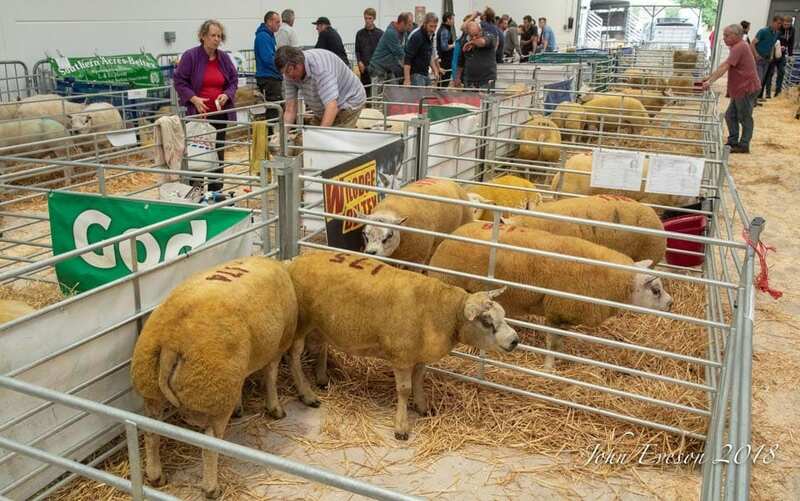 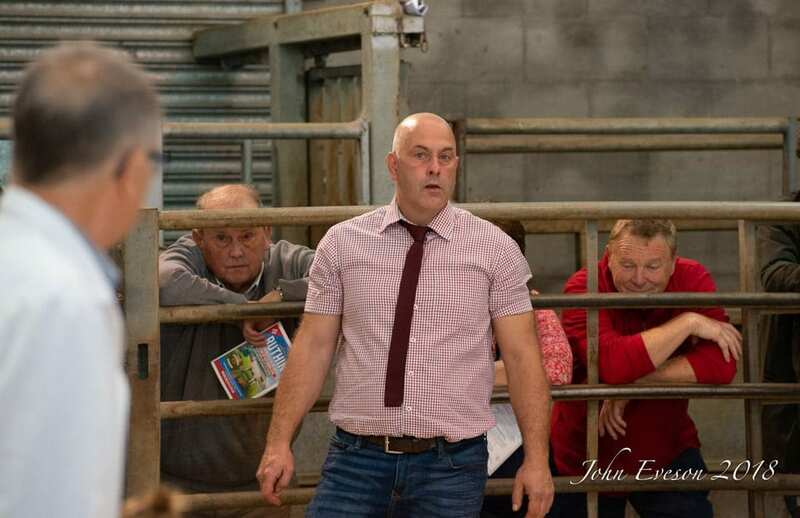 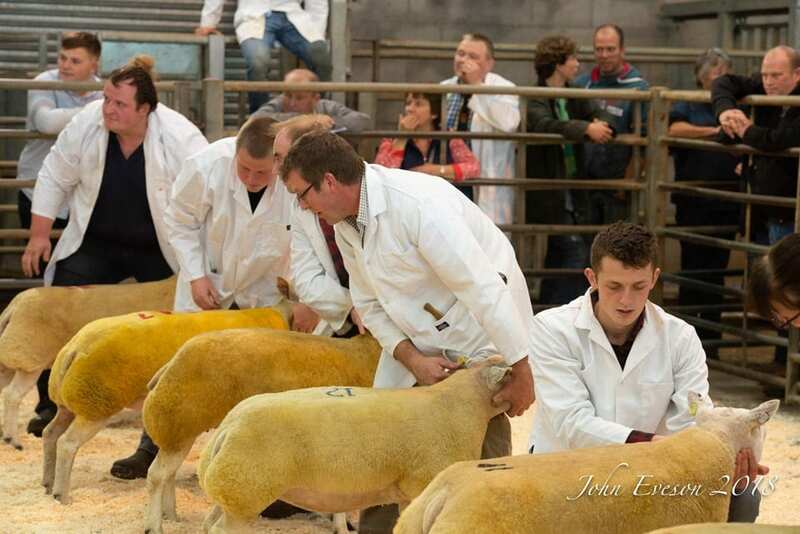 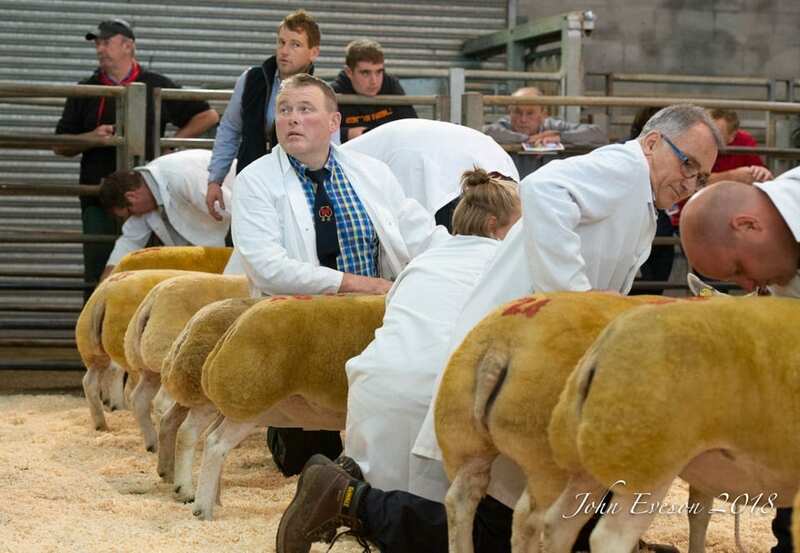 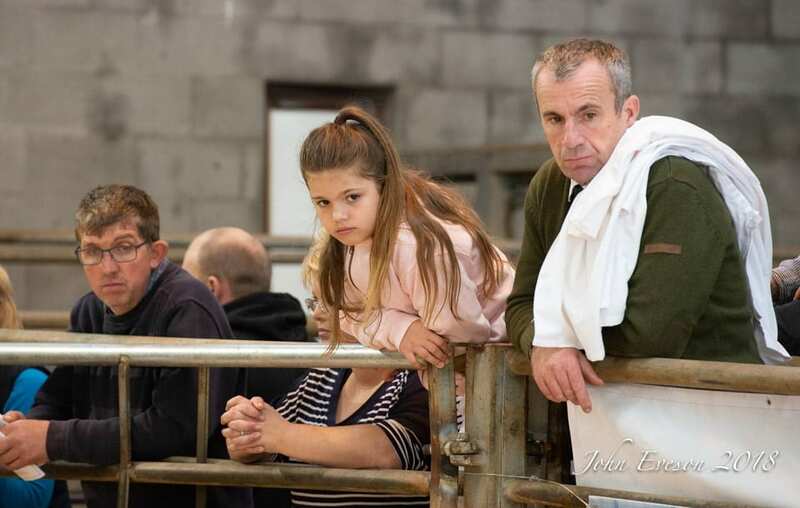 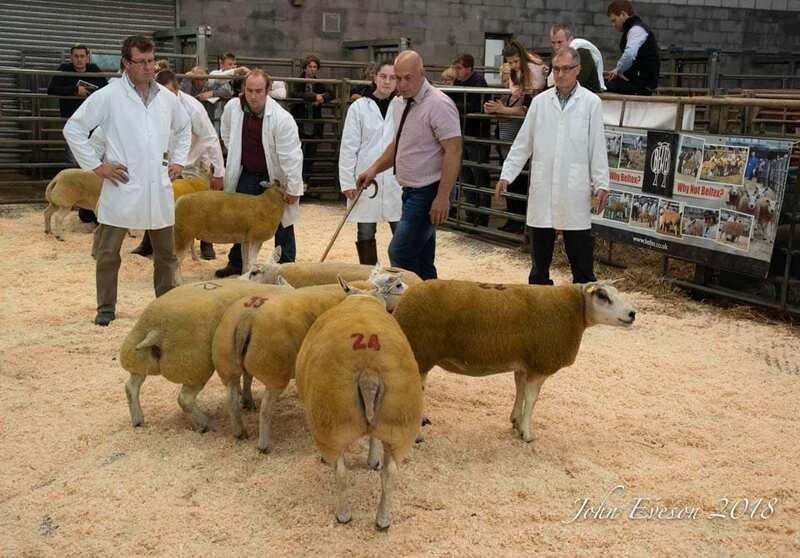 Beltex breeders saw a top price of 1400gns at Ruthin, with this price paid for Paul Tippett’s Wilodge Charity. 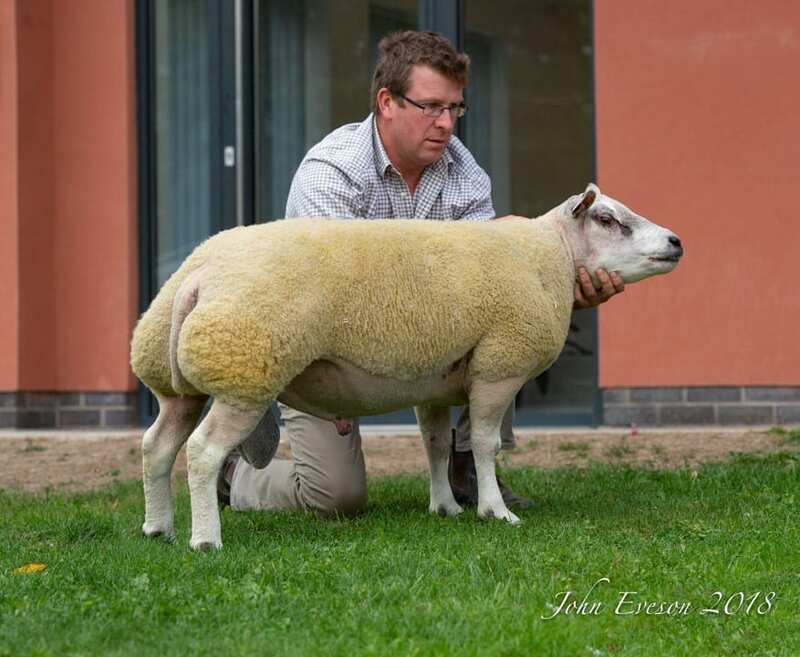 This gimmer by Kingledores Braveheart is out of an imported dam and sold to C R Parry, Beaumaris. 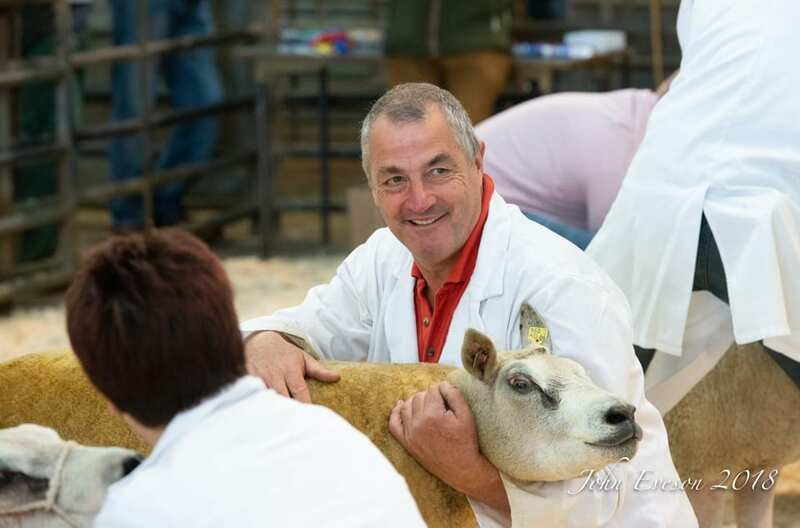 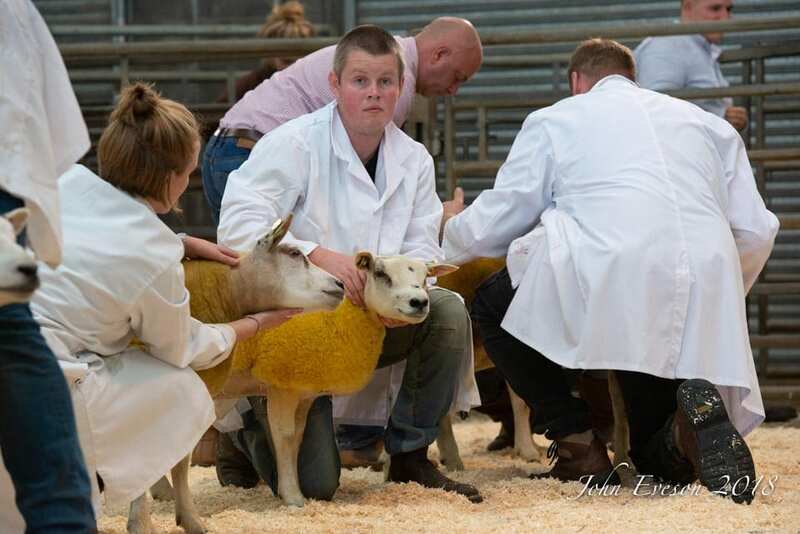 Next best at 1100gns was David Thornley’s shearling ram, Dooley Casey, an ET bred son of Scooby Doo out of a dam by Daaf. 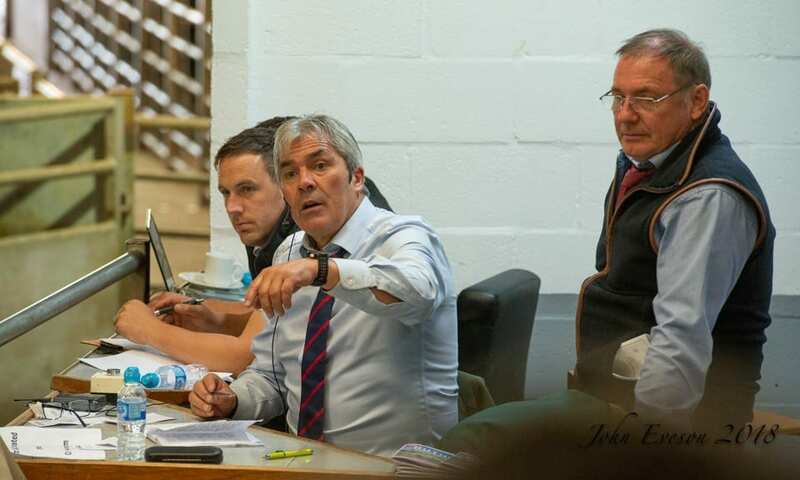 He was bought b H L Griffiths, Ty Isa. 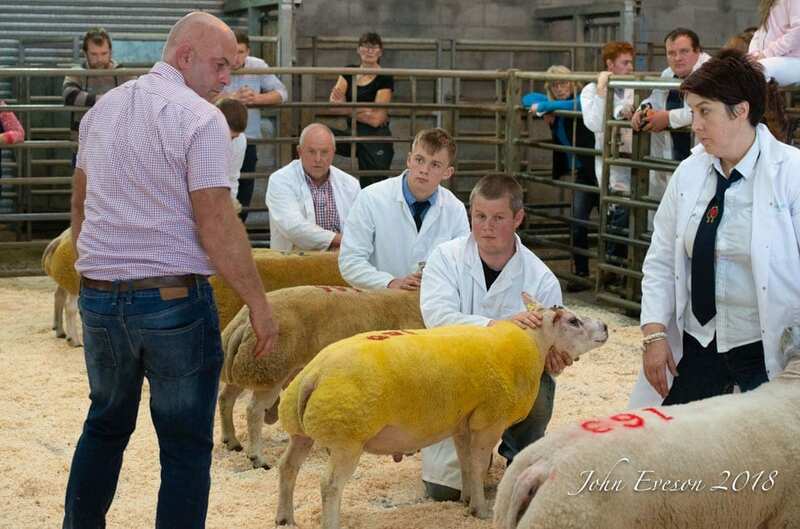 Close behind were a pair at 1000gns, with the first being Michael Owens’ Glantre Class Act, an Ardstewart Aragon son out of a dam by Woodies Scooby Doo, with this one taken by G Roberts, Capel Curig. 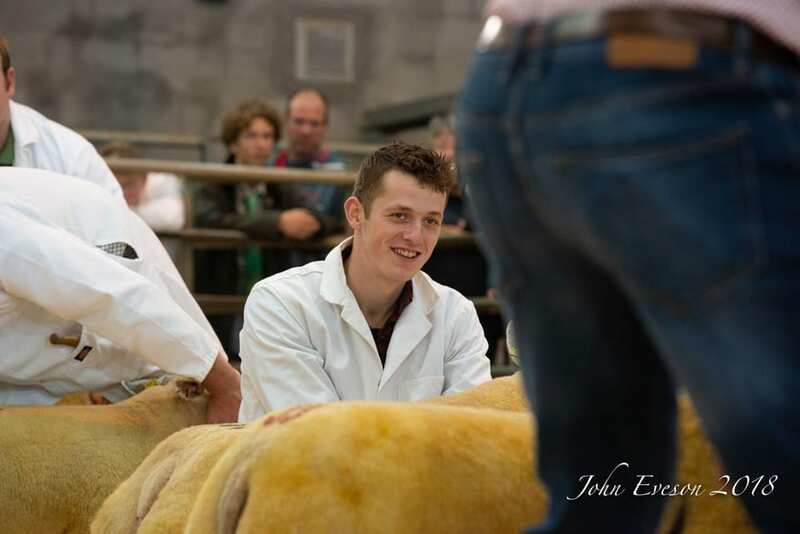 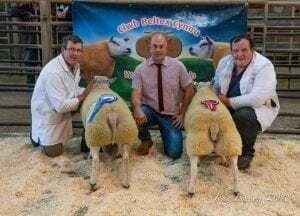 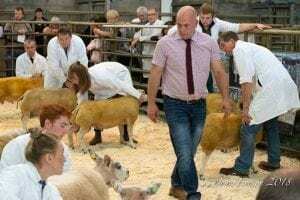 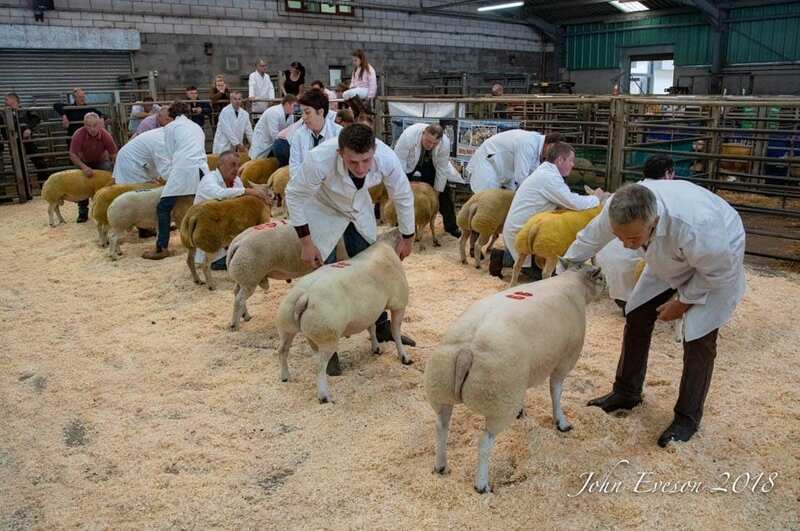 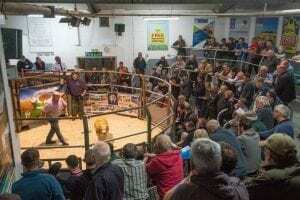 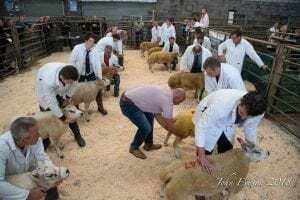 The second at this money was Dylan Davies’ shearling tup Tryman Connor, a Mortons Thunderbolt son out of a Wern Senator-sired dam. 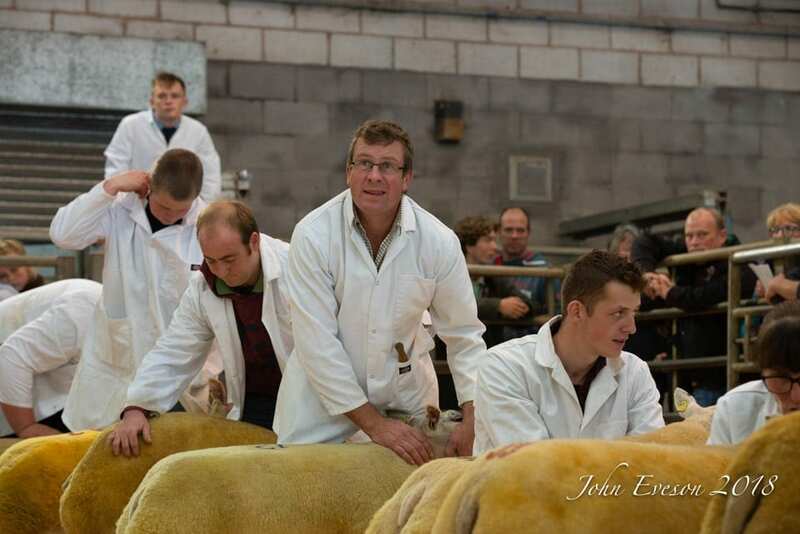 He went home with E J Ashley, Oswestry. 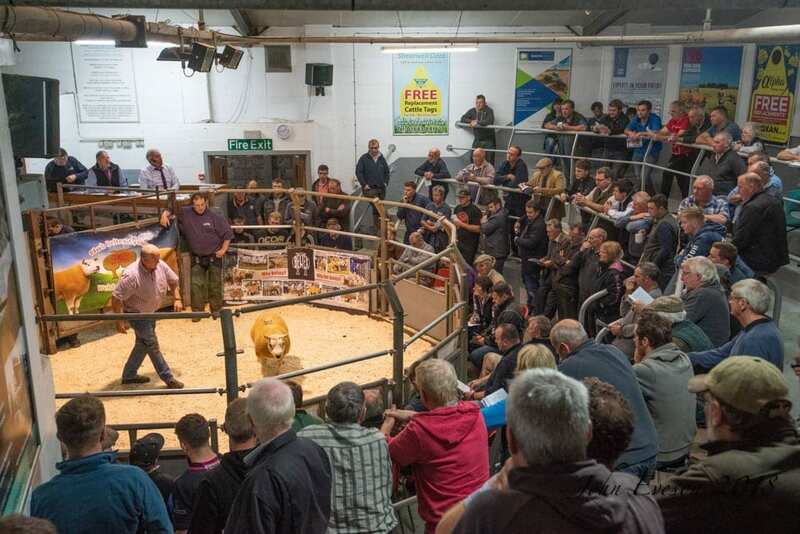 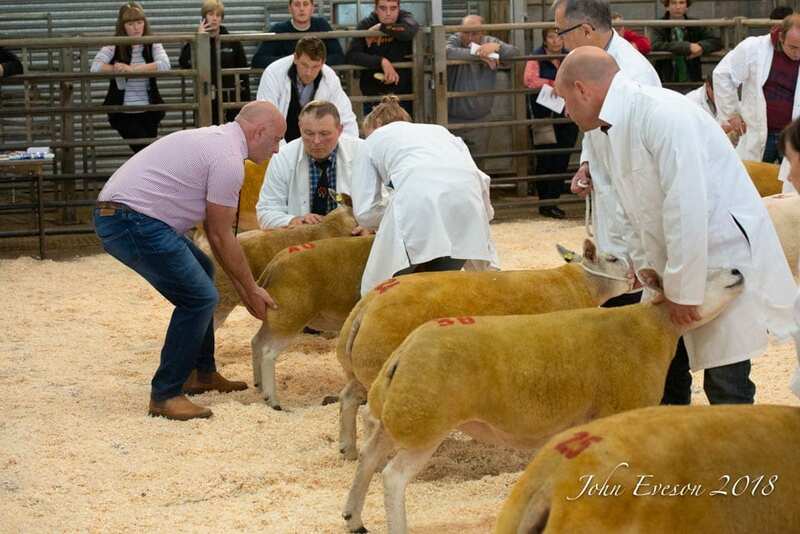 And two then sold at 720gns. 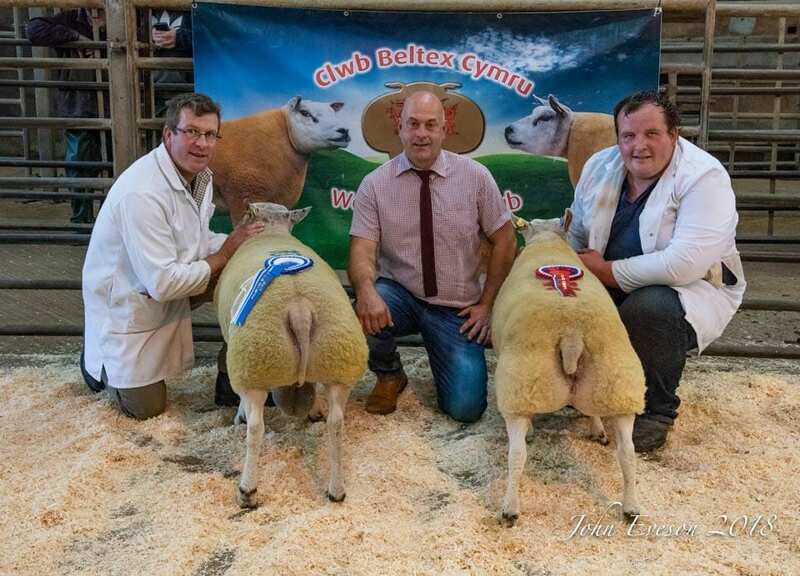 First to make this money was Glan-Y-Mor Cake, a gimmer from Matthew Jones. 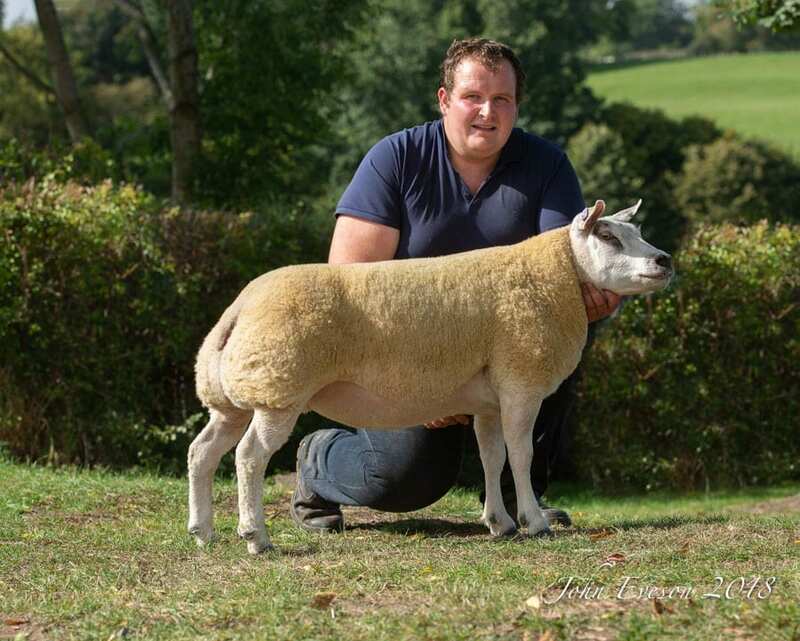 This Glan-Y-Mor Sam daughter is out of a dam by Beachy Pefection and was the pick of J T Rowlands, Mnydd Adda. 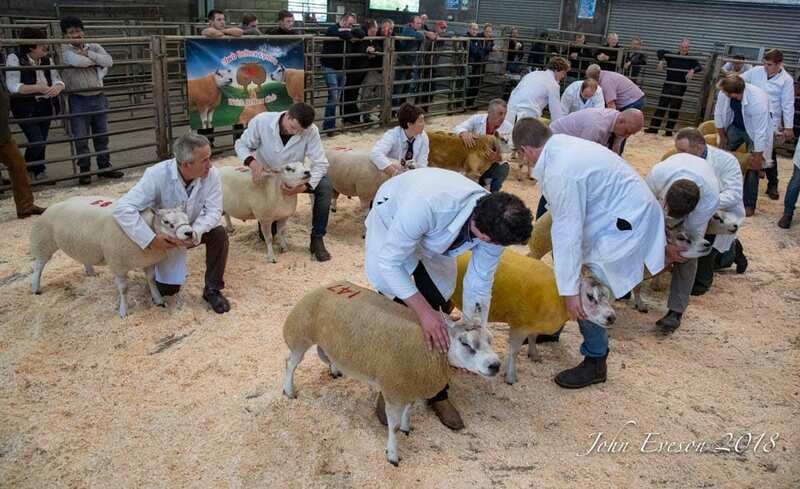 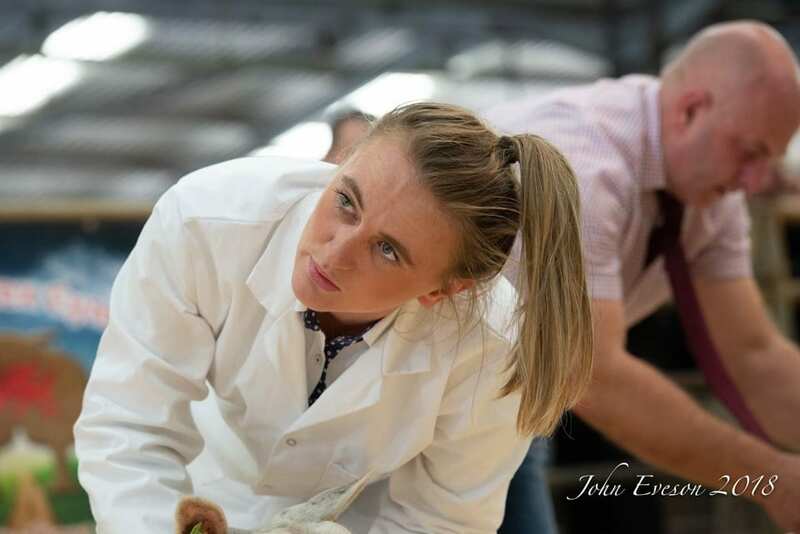 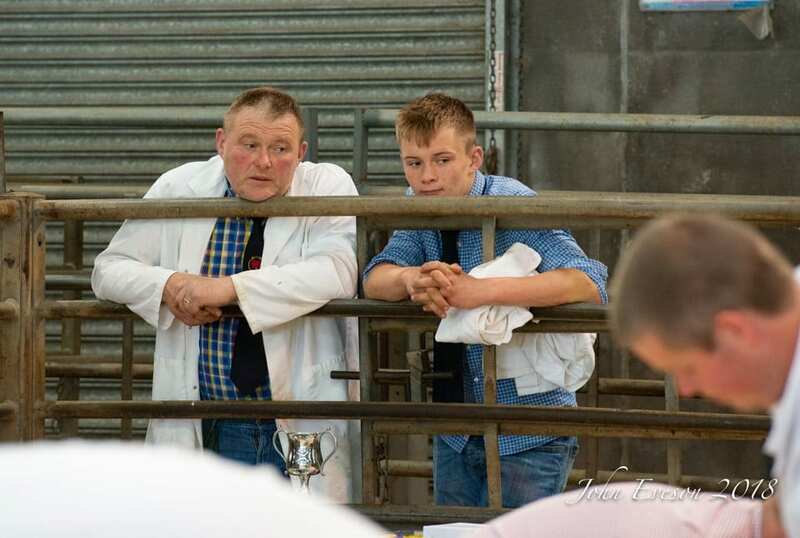 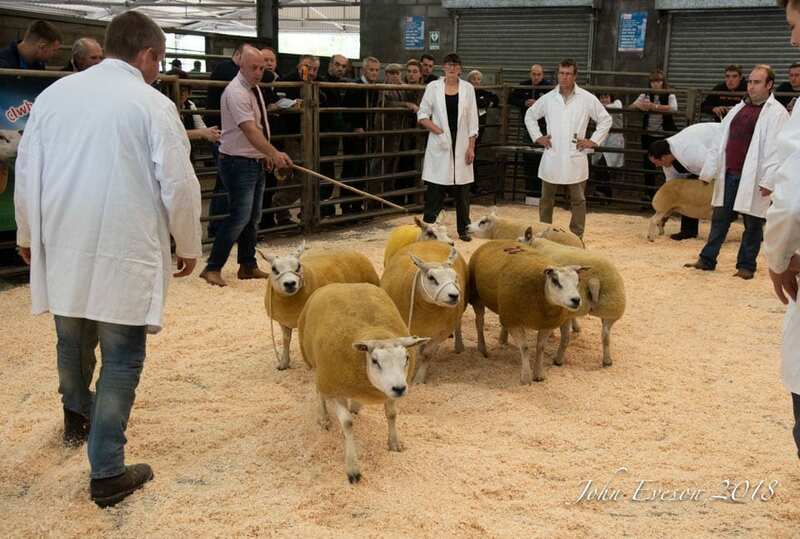 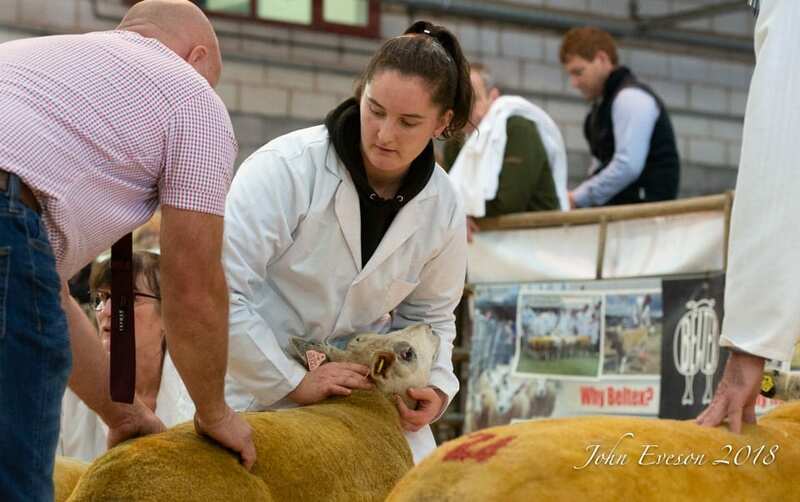 And the same vendor-buyer combination was also responsible for the other at this price, Glan-Y-Mor Cassandra, a Matt’s Wild Son daughter out of Woodies Why Not. 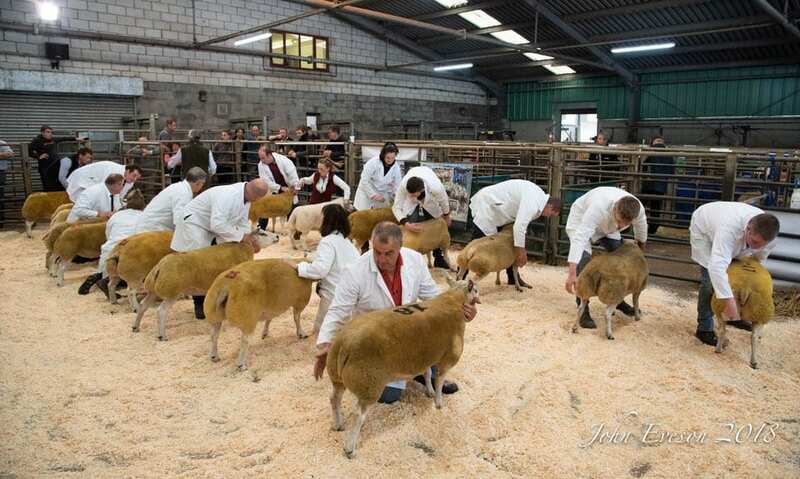 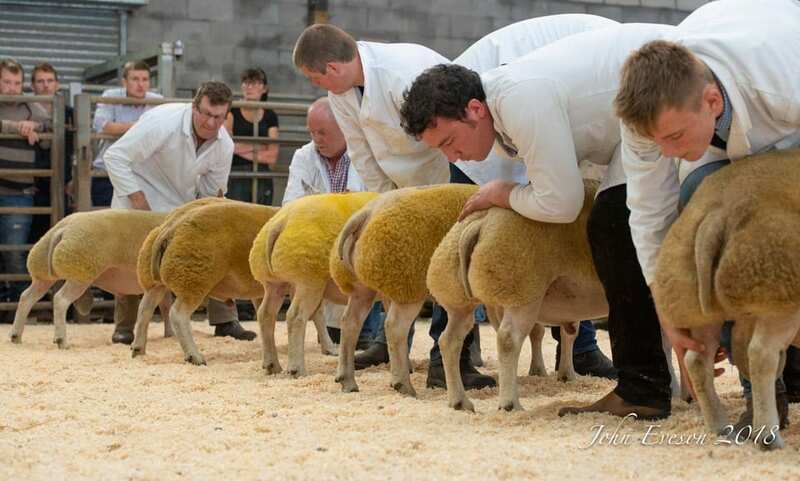 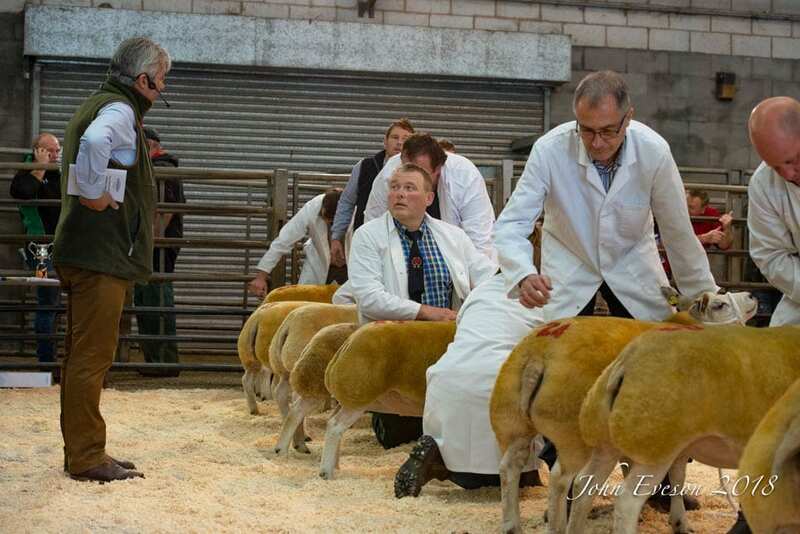 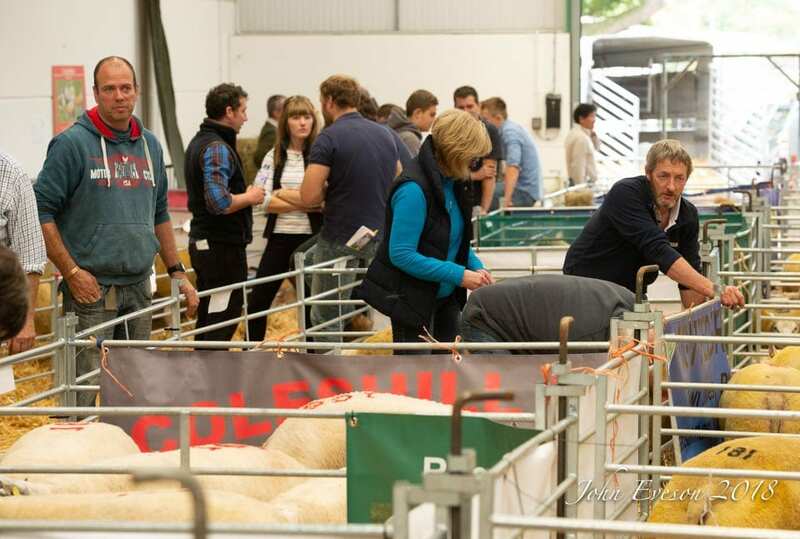 Averages; shearling ewes £371.60, ewe lambs £269.50, shearling rams £371.01 (Ruthin Farmers).